A Projector is a device designed to take an image from a video source and project it as faithfully as possible onto a screen or other surface. 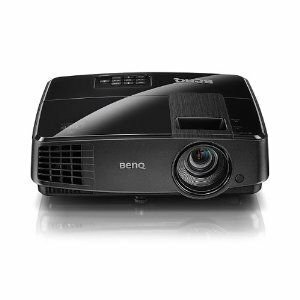 Projectors are used in a variety of different ways; they are enjoyed by home theater enthusiasts due to their ability to project movies and television programs onto a screen much larger than even the biggest TV available, and used in the corporate setting to project information onto screens large enough for rooms filled with people to see. Projectors come in a variety of different shapes and sizes and are produced by many different companies. A Projector is designed to receive a video signal from some external device-usually a DVD player, a Blu-Ray player, or a computer-and project that signal onto a screen. It does this by displaying the image represented in the video signal onto a small screen inside the projector itself, which is then projected onto a screen using a bright light and a lens. The lens is a piece of glass shaped in a very specific way designed to take the small image and turn it into a dramatically larger one. Projectors allow users to alter a variety of image features, including brightness, sharpness and color settings, in the same way a standard television would. Four different types of image resolutions (the size and quality of the projected image) are employed by projectors available on the market today. They range from a standard definition image, which is 800 by 600 pixels in size, to true high definition which is 1920 by 1080 pixels in size. The two middle-of-the-road resolutions are very similar; they are 1024 by 768 pixels in size and 1280 by 720 pixels in size. These are considered high-definition due to their marked improvement over standard-definition, but not “true” high-definition.